After battling breast cancer I realized that I would do everything possible to avoid a recurrence. I began with extensive research to better understand the causes which led to certain lifestyle changes I have made. I also realized the support I received during my ordeal was invaluable and I felt compelled to share my information and experience in order to help others. From beginning to end of my journey, I had an incredible team of doctors who empowered me to take control of the situation. When faced with a life threatening disease, you can acquire amazing strength if have a solid plan and strong team behind you. That team should have your best interests in mind as you are a patient, not a statistic and it is my mission to ensure that all women have this opportunity in their battle. I created this company as I have encountered many women who have been disappointed with the care received and I also found that many women did not have a family member or close friend who could see them through the process. I realized there was a great need for advocacy. I also know that it is not enough just to beat cancer, so I help women to repair and prepare their bodies for a life of wellness. A cancer diagnosis is devastating to most women and having an advocate along the way can make a huge difference in their ensuing battle. I have been successful in helping woman better understand their diagnoses and treatment options and in helping them choose the right team and path for treatment. This includes accompanying them on visits to the doctor where I take notes and ensure the tough questions get asked. I know firsthand, that under these circumstances, it is very difficult to concentrate on all that a doctor is saying. Once team and treatment plans are chosen, we work together through the process. I feel strongly that no woman should have to face cancer alone. A cancer diagnosis leaves one so very vulnerable, not only to the illness, but also to the people all around her. Friends often think they are helpful when criticizing a chosen treatment plan. Many women choose not even to discuss with friends their choice for surgery, as surely some friends will be adamant about mastectomy and others lumpectomy, and this is terribly unfair to the patient. It is for us and us alone to choose and be confident with a path chosen. Doubt is not a healthy thing, but is ever-present. However, again, it is unfair of others to cast doubt or offer opinions. Given all the options today, we have many decisions to make. We may choose conventional, alternative or a combination of both, and within each modality, there are yet more options. I always say that when a friend or loved one is diagnosed, support is essential, information is helpful, but advice is often unwanted or unacceptable. As an unbiased advocate, I listen to your needs, concerns and preferences and support you throughout the journey and beyond. There is nothing simple about battling cancer, and you don’t have to go it alone. Discover how you can take a greater role in choosing the best treatment and team, and find the help you need. I help women diagnosed with cancer navigate the process of treatment and care, and coach in prevention to avoid recurrence and new cancers. Most important, I believe that cancer is a symptom. While I certainly concern myself with the symptom we call cancer, I believe people can be better served by using natural healing remedies to restore and maintain optimal health in order to heal from this dis-ease. Rather than using synthetic, toxic drugs that harm the body, I believe an alternative approach that determines the underlying causes of the dis-ease is a more logical and effective approach. If we do not investigate and treat the cause, we will never truly be healed. Lastly, I am not a doctor; I do not practice medicine. I practice information investigation and came to the understanding that conventional treatment for cancer is consensus-based, not evidence based. Never believe that just because your well-meaning doctor recommends a long-used protocol that ‘he must know what he is doing’. I live in New York City with my wonderful husband and two fabulous boys who give me strength and encouragement every day. For an update on my story, please Click Here. If you would like to listen to my keynote address at the AAMD conference, Navigating a Path to Wellness – Insights From a Cancer Coach please click here. To schedule a consult, please click here. Great to catch your twitter note. I am a cancer survivor and it pains me to read about those who are visited by this malady. Got off my early stage prostate cancer last 2001 by surgery. No chemo, no radiation, thank God. Since then started reading up about how to stay healthy and one thing came up. Since we are 70-90% water/fluid/blood, if we take care of this much of our body, we have a better chance of staying healthy.. Dr. Robert O Young writes that the fluids in our system is alkaline, pH greater than 7.4, NO disease can survive. “The pH Miracle” book. So therefore, drink at least 6-8 glasses of truly, genuine alkaline water. Of course, you need more veggies in your diet, some exercise, enough sleep, less stress, be at peace with your creator and etc. anti oxidant water which appears to give good results with thousands of users around the world, of the alkaline water produced by the small kitchen – top appliance made by one of the Japanese Company which operates their factory under three ISO standards. Some people call his snake oil, so you have to have an open mind and investigate which I did and have the machines and have been drinking this water. Needless to say, after all is said and done, the Lord has the last say. Water or no water, when He calls, we are gone to the other side. I no longer have a problem with that. I have also read up on that since the year 2000. Before I close, I am blessed to have grown up in one part of the world, worked in another and now growing old in South Carolina. So I have a very open mind and will listen to you if you say drink tea made from bitter melon leaves or have Yam in the morning after eating your fruits. Or eat your fruits first so the stomach absorbs all the good stuff, before taking in all the other yam, chicken and etc. Thank you for stopping in and sharing your story Manny….I too believe in an open mind…for health and for life. My best to you for good health. I am a cancer survivor and healed cancer without surgery, chemotherapy, or radiation. I also wrote a book called “Defeat Cancer Now,” on how I did it and the symptoms experienced. I like your quote; “It is for us and us alone to choose and be confident with a path chosen. Doubt is not a healthy thing, but is ever-present. However, again, it is unfair of others to cast doubt or offer opinions.” Too bad that so many in the alternative health realm or claim to be into “natural” healing modalities dismiss my findings into alternative health and healing cancer naturally. There are so many different camps when it comes to cancer treatment. What works for one may not work for others, but we owe it to ourselves and others to keep that open mind. I for one, love to learn from others. Sad when people close their minds. Thanks for stopping by Tamara. 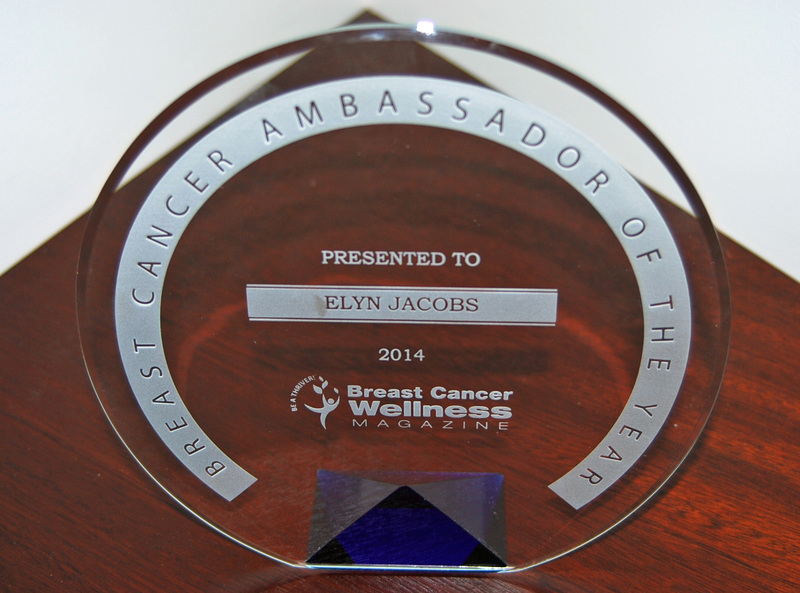 Elyn as a cancer survivor I was happy to find your website as a source to reinforce what I know about lifestyle. I have just started Tamoxifen, however I am not sold on taking anything for five years. Other than breast cancer which is in my family, I am a healthy 50 year old woman. I eat well, exercise, have a positive outlook on life, a great husband, family and friends. I’m realistic in knowing that cancer may rear it’s ugly head again in my lifetime. So for now I will do what I can to curb it and keep up on the latest research. Thank you for sharing your story. I hope that I can help others who are battling cancer too. Hi Jane, so sorry, just seeing this, but hope you are doing well and loving life!